The New York State Council of Landscape Architects (NYSCLA) is the group in New York State established to respond to issues of licensure and matters related to state regulations affecting the profession of Landscape Architecture. NYSCLA is staffed by an Executive Director who reviews pending bills in the State Legislature and acts as the liaison with the professional associations of Architects, Engineers and land surveyors in New York State. 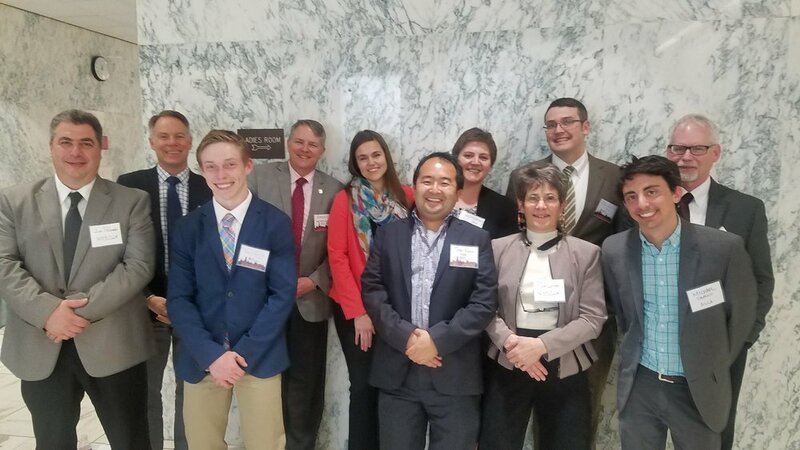 Members from both the Upstate and Downstate Chapters come together in Albany for Lobby Day each year to discuss important issues relating to the profession with elected officials. This is a great opportunity to learn more about the profession and state government. Advocacy news covers the latest events in the legislative arena related to landscape architects including state/federal legislative activity, regulatory action, research reports and opportunities to participate in webinars. Easier navigation one step to send a message to your elected officials, and the system will remember you! Enhanced Twitter functionality join ASLA campaigns to tweet at your elected officials. News and updates from ASLA’s government affairs staff on federal and state issues that affect the landscape architecture profession. Multimedia resources view videos and animations that highlight the work that landscape architects do. Use these tools to help educate your elected officials and promote the profession. Many of you have been stellar participants in ASLA’s past advocacy campaigns. Now, the new Advocacy Network will make it even easier for you to participate.